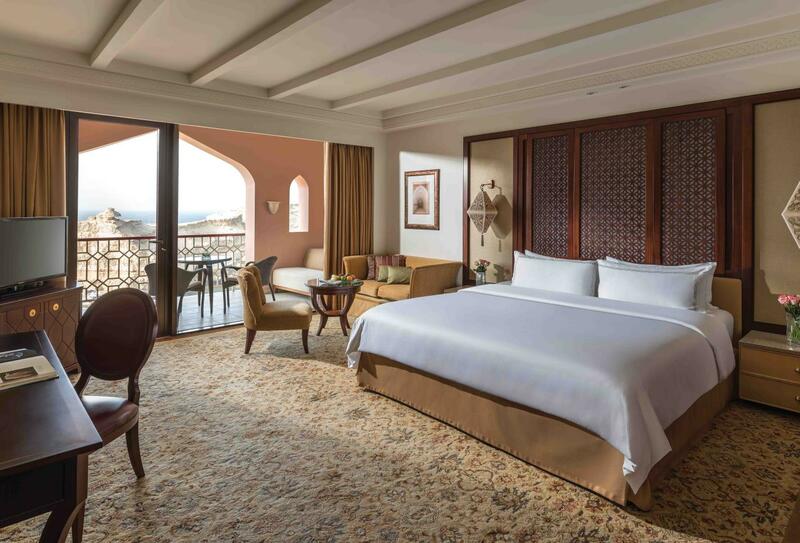 Shangri-La's Barr Al Jissah - Al Husn Deluxe Seaview Room. 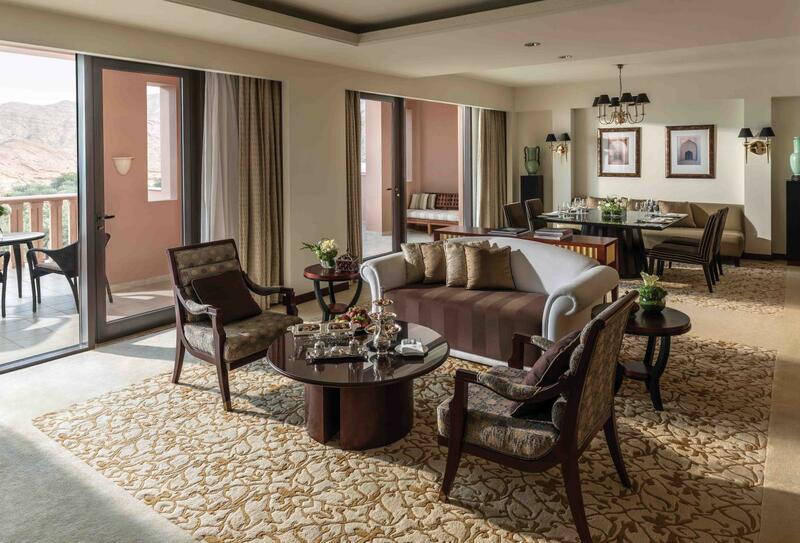 Shangri-La's Barr Al Jissah - Al Husn Speciality Suite. You will be welcomed by traditionally dressed staff at carved, ornate doors. 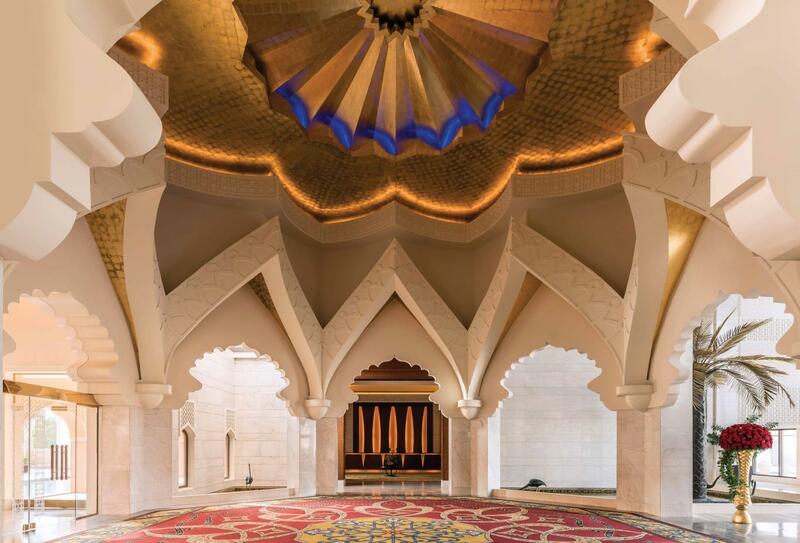 Shangri-La Al Husn Resort & Spa will engage you even before that, however, with a journey through a mountain tunnel, to finally reveal this sanctuary by the Sea of Oman. Surrounded by mountains, palms and traditional Dhofari architecture. 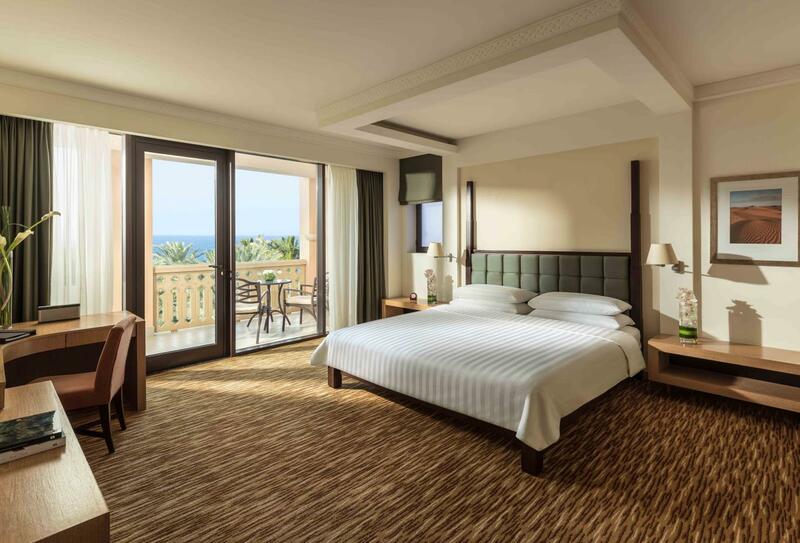 Shangri-La Al Husn Resort & Spa has super-large bedrooms and opulent surroundings with facilities that include a private beach, fine dining and lounges, a spa and fitness centre. But the privileges impress the most - butler service, daily afternoon tea, pre-dinner cocktails, a complimentary minibar, and pre-loaded iPods are just a few of the exclusive benefits you will find as a guest. 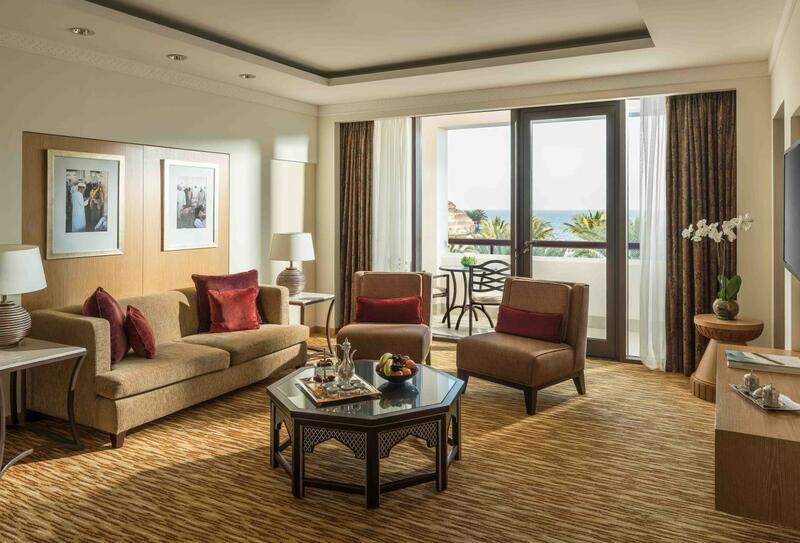 The Deluxe Room has its own balcony, or patio that offers views of the private beach or pool area. 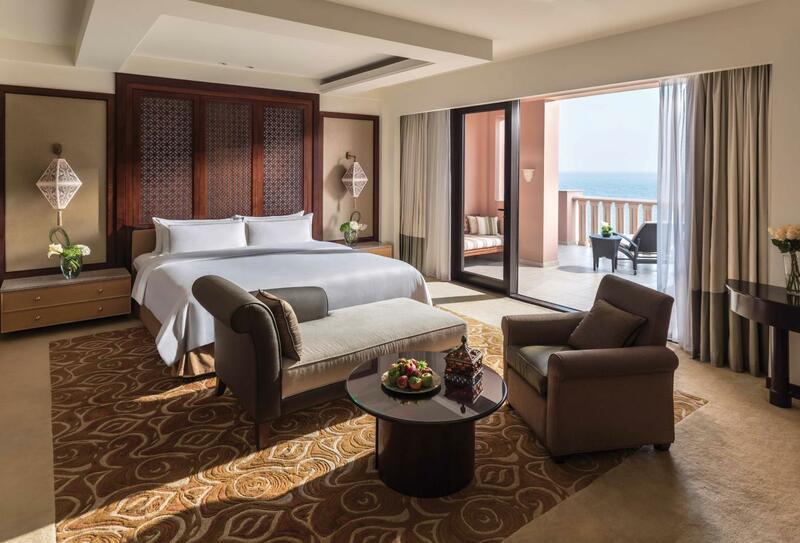 Inspired by Arabian décor, the Deluxe Sea View features a balcony with views of the Gulf of Oman. 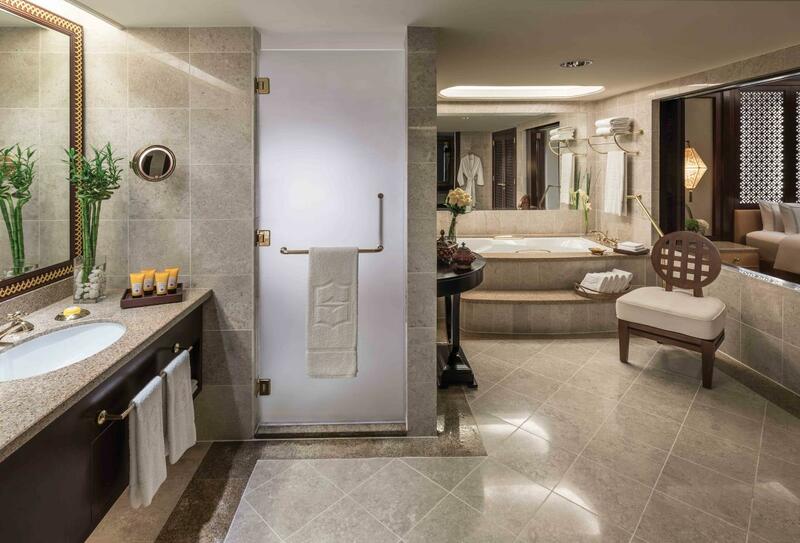 The One Bedroom Suite offers a balcony or patio, a separate sitting room and a bathroom with sliding glass panels that look out onto the sea. 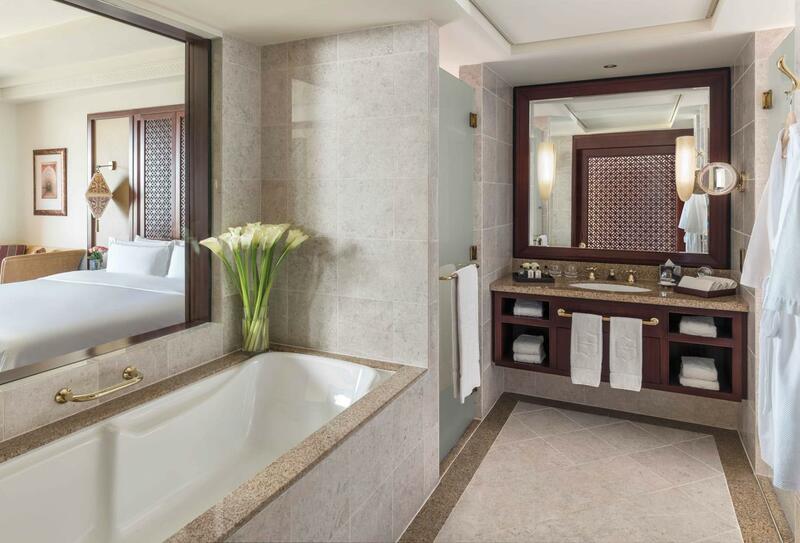 The Specialty Suite has a private 24sqm terrace with a Jacuzzi and the interiors offer a separate sitting and dining area. Shangri-La Al Husn Resort & Spa is an ideal location for a honeymoon couple – you will be offered the following to enhance your stay. 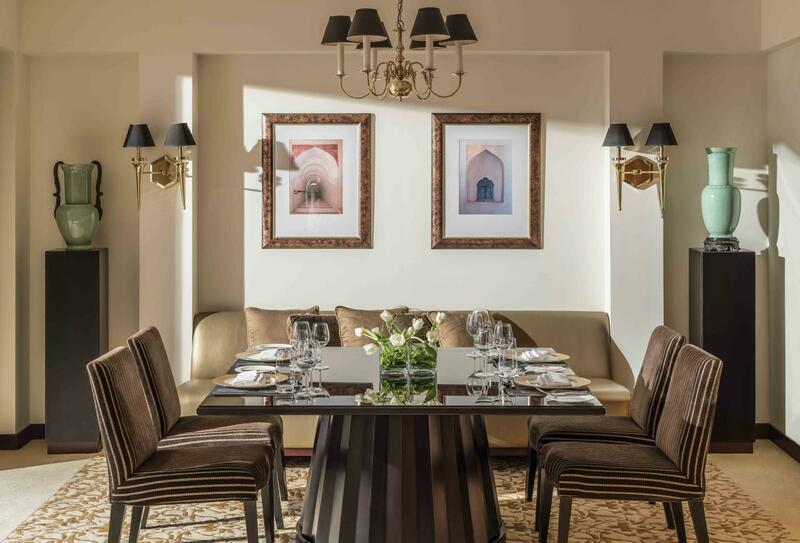 Serving Moroccan, Lebanese and Omani cuisine is a refined setting. Guests over the age of 12 years are welcome. Open for dinner. Elegant and modern Spanish cuisine rom this bright, ocean-facing restaurant. Open for breakfast and dinner. Enjoy light meals and salads, freshly caught fish and refreshing drinks. Open daytime. Lying adjacent to the infinity pool this bar and restaurant serves tropical drinks and creative cocktails alongside light meals. 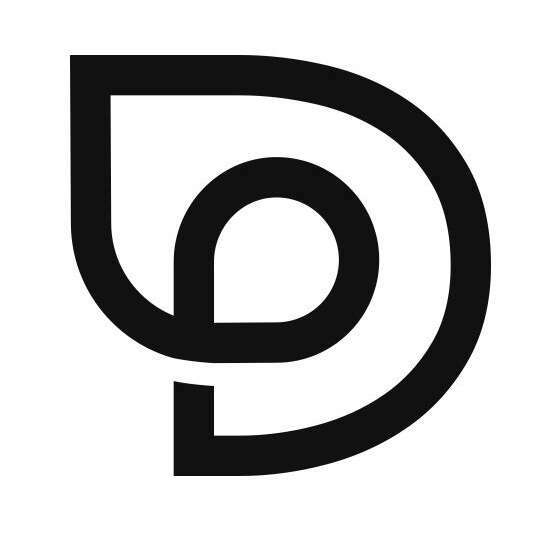 Open daytime. 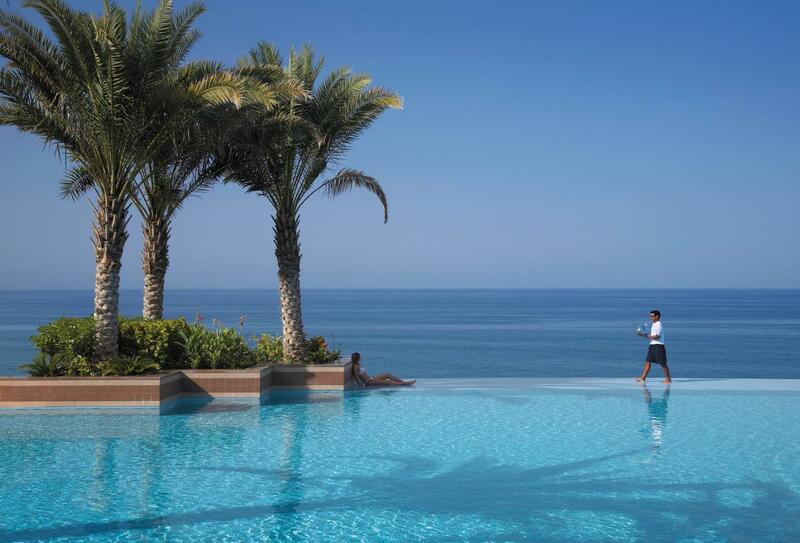 Shangri-La’s Barr Al Jissah Resort & Spa – Al Husn is in the bay at Barr Al Jissah, close to the old town of Muscat. 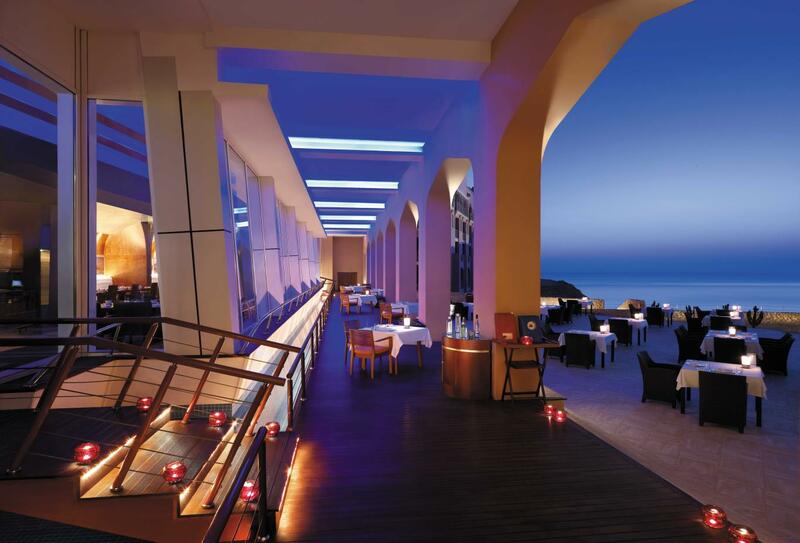 The hotel is around 45 minutes away from Muscat International Airport. 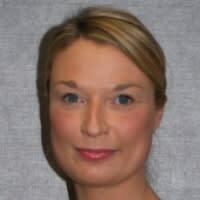 Guests can travel to and from the airport, in vehicles for hire through the hotel.